No, monsters aren’t scary! 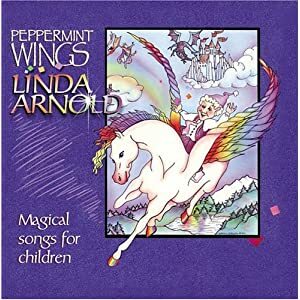 They’ve got personality and spirit in this Monster Day song for preschoolers, by Linda Arnold. Preschoolers will love to dance around to the Ugga-Bugga Wugga chorus, and laugh about monsters playing basketball, chewing gum, and even walking around in their underwear. 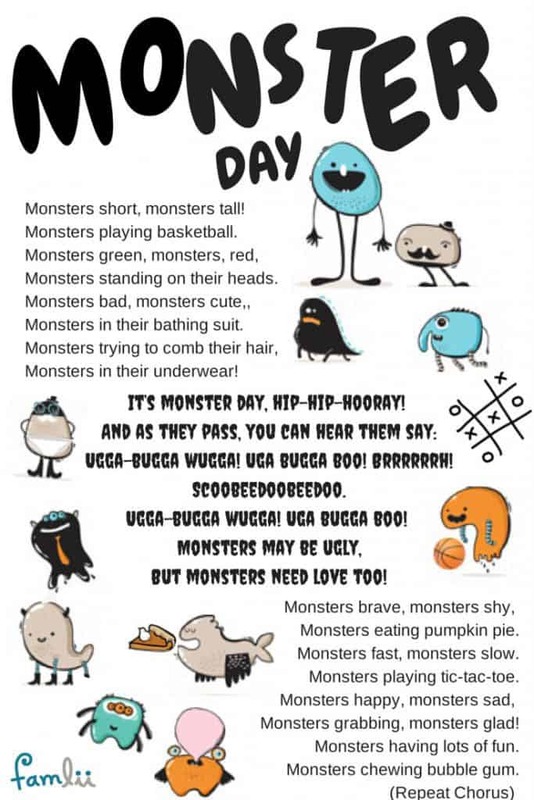 This humorous Halloween song also teaches a valuable lesson about diversity; no matter what they look like, Monsters need love, too! 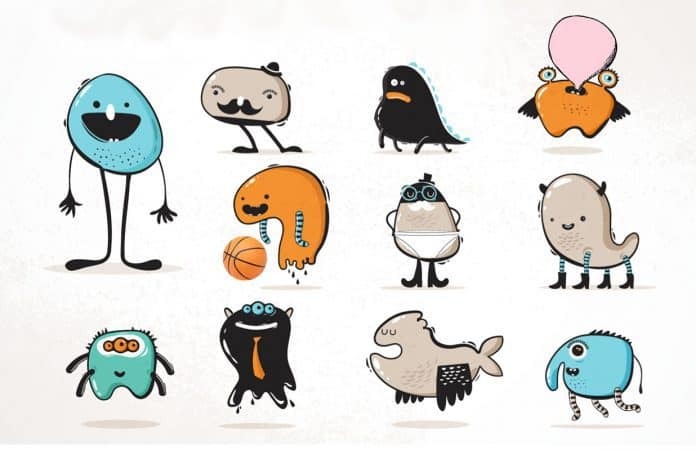 So this Monster Day, talk to young children about how everyone looks different and is unique, and spread some monster-love! Click here for the audio of Monster Day. Monsters short, monsters tall! Monsters playing basketball. Monsters green, monsters, red. Monsters standing on their heads. Monsters bad, monsters cute. Monsters in their bathing suit. Monsters trying to comb their hair. Monsters in their underwear! Ugga-bugga wugga! Uga bugga boo! Brrrrrrh! But monsters need love too! Monsters brave, monsters shy. Monsters eating pumpkin pie. Monsters fast, monsters slow. Monsters playing tic-tac-toe. Monsters happy, monsters sad. Monsters grabbing, monsters glad!